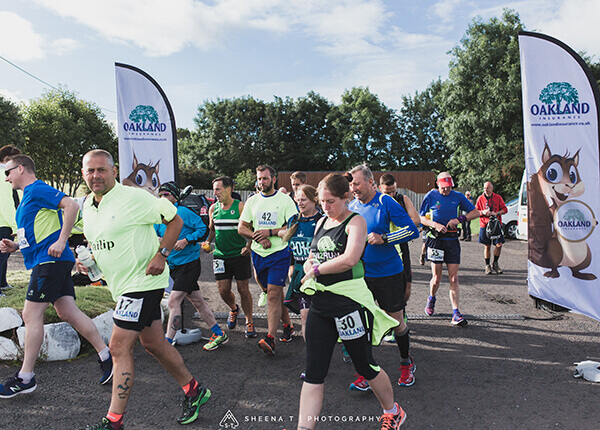 Our annual More Than A Marathon Event in aid of Headway Ballymena is scheduled for Saturday 3rd August 2019. Following 3 successful years we are determined to make this bigger and better each year. Come along and be part of a miraculous day in aid of a wonderful local charity. See the links for full information on the Oakland Insurance Causeway Challenge. Your journey begins at the Corrymeela Visitor’s Centre, where you follow the signs out of Ballycastle onto the Causeway Coastal Route. As you take in the beautiful surroundings, by-pass Carrick-a-Rede Rope Bridge and make your way to Dunseverick Castle, the route will lead you through various terrain, past the top of the Shepherd’s Steps and onto the Coastal route to Portballintrae. 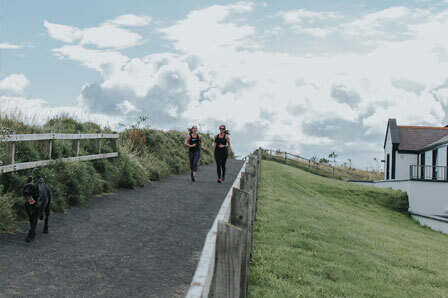 The breeze in this coastal town will set you up for the uphill jog away from Ballycastle as you take to the road and head for the Whiterocks beach, where the finish line will soon be in sight. Once you catch your breath and smile for a photo, it is off to the Watersports Centre where you can grab a bite to eat and a rub down from a wonderful massuese. 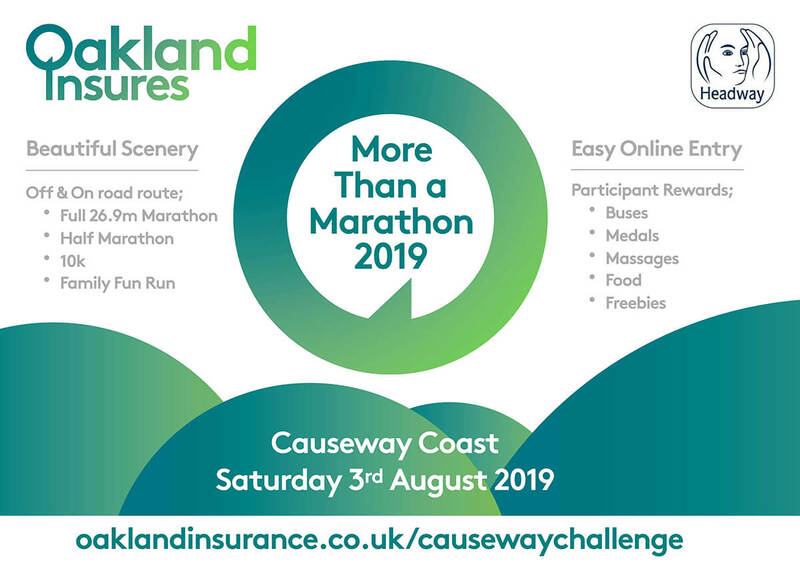 Starting at Dunseverick Castle with stunning views of the North Coast, you will make your way along the Causeway Coastal route and its various terrain. 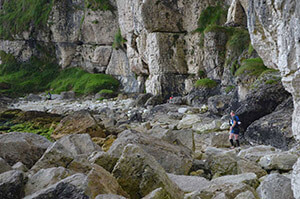 The 13.9 miles starts off along the coast to the Giants Causeway where the scenery just keeps getting better and better. Passing through Portballintrae you will take to the road and follow the route to the pedestrian entrance to the Whiterocks Beach, to complete your last few miles on sand. Crossing the finish line you can relax on the beach with your medal and filled bap before getting a rub down from the physio’s. If the full or half marathon isn’t your cup of tea then why not take part in our 10K option. Starting in the historic village of Portballintrae you will follow the signs and markings along the Causeway Coastal road route until you reach the pedestrian access path to Whiterocks beach. Follow the sandy path onto the beach where you will soon see the finish line. 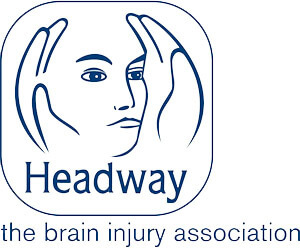 The Oakland & Headway team will be waiting with medals, water, food and much, much more provided within the Watersports Centre. Once refuelled you can relax with your fellow Challenge Champions on Portrush East Strand. Set in the heart of Portrush, the East Strand beach hosts the fantastic setting for our family fun run. Taking place on the white sand of the East Strand beach to the towering cliffs at the White rocks it is sure to be a picturesque run/walk. 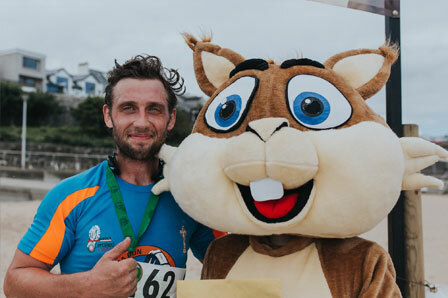 Once you have reached the end of the beach, it is then a simple about turn, back to the finish line at the Water Sports Centre on the East Strand to pick up your medal, grab some food and enjoy the atmosphere. Oakey Dokey will be there to cheer on the children. Make sure they visit the Watersports centre for face painting, colouring competitions, freebies & treats.